One of the consequences of the latest round of education reform has been the emphasis on testing. Since this is a method of measurement that I feel is overused, I try to stay away from it when it comes time to assess my students. In order to gain a clear picture of students' understanding , I often assign essays or projects that are designed to assess student mastery (in addition to daily informal assessment, of course). My students and their Number 2 pencils are usually very grateful and eagerly complete these assessments. One of the biggest challenges in grading assignments such as essays or projects is remaining impartial while grading. 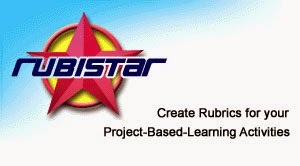 A while back, a former graduate school classmate tipped me off to Rubistar, a free rubric generator. 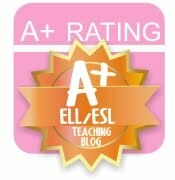 This site contains rubrics for dozens of potential topics and projects, all of which can be customized to fit your needs. One of the most empowering aspects of using a rubric is that I hand it out as students complete their assignment and allow them to assess where they think it will measure up on the rubric. Very rarely is their grade a surprise. While I have experienced success with this site, I recently discovered that there is now a sister site, Quizstar, which is dedicated to generating online quizzes. I played around with it a bit and am considering integrating it into my own classes when school resumes. For those of you that teach in bi-lingual classrooms, it does support multiple languages and even grades the quizzes for you.